The industries that have sustained Los Angeles have often been conspicuous: oil derricks, phalanxes of tourists, sprawling aerospace facilities, the port’s towering gantry cranes, and the garrisoned studios of the Dream Factory. But the businesses that compose what’s called Silicon Beach tend to be hidden, untethered from physical space. 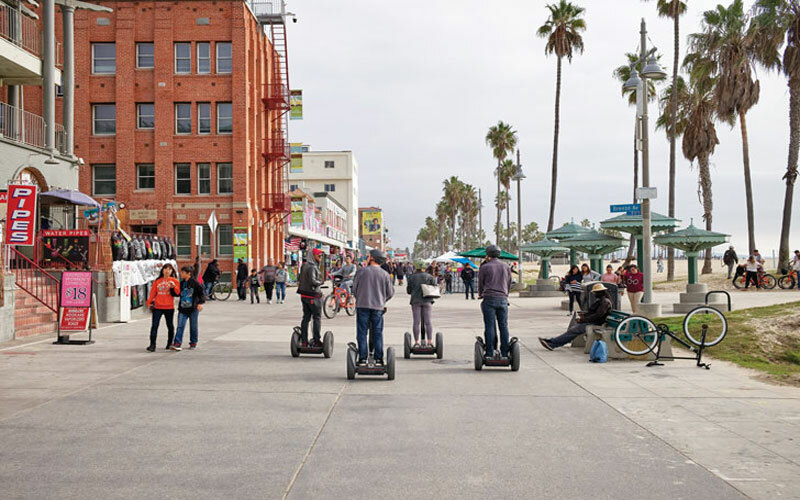 All you see of them are the buildings that house the staff and the Teslas that signal their bosses’ wealth as their algorithms and innovations dictate our daily cyber-cadences and transform the neighborhoods they populate in Silicon Beach. The prosperity of L.A.’s tech sector can be felt up and down the coast, from Santa Monica to El Segundo. Since setting up shop in an old Craftsman on the Venice Boardwalk, Snapchat—or Snap Inc., as the company has rechristened itself—has bought and leased scattered outposts large and small (what local spokesman for the boho elite Jack Hoffmann calls “bat caves”), booting less muscular firms to the curb. The execs barely paused for a round of $12 craft IPAs as they repurposed landmark buildings along Market Street and refurbished a row of small businesses off Abbot Kinney at Venice Boulevard (good-bye, sweet mole sauces of Tlapazola Grill). Google at one point seemed ready to pursue a similar strategy after establishing a 500-employee complex centered around the famous Frank Gehry Binoculars Building at Main and Rose. But then in December 2014, the company doubled down on its taste for sheer physical scale, paying nearly $120 million for 12 acres in Playa Vista; for an undisclosed fee it also laid claim to the neighboring hangar Howard Hughes had built for his massive flying boat, the Spruce Goose. A few minutes’ drive south of Venice, Playa is, of course, the former wetland that has been in play for decades. Developers have come and gone as people fought over the fate of the habitat and the size of the project. Randy Johnson, who is the executive vice president of Brookfield Residential, has lived with the Playa Vista project for 27 years. He estimates he’s seen 25 court cases in his time there, up to and beyond the city council approvals that have unfolded in tortuous stages. The first of what will soon be more than 10,000 residents bought into the one-and-a-third square miles of the planned community in 2002. The complex’s commercial side has easily kept pace with the residential. The firms filling Playa Vista have shown, says Johnson, “an almost grow-or-die philosophy.” Mostly cash-rich (Yahoo being an exception) tech giants like (Google subsidiary) YouTube, Belkin, and IMAX are happy enough to pay (or in some cases bargain down) the steep monthly rents that have marched toward $6 per square foot—which, excepting the ground zero enclave of Palo Alto, more than matches most of Silicon Valley’s hefty buy-in prices. Shifting focus: Google’s outpost at Rose and Main in Venice has been a catalyst for change. Mobility: venice sits in a crosscurrent of tech money, tourists, the homeless crisis, and boho tradition. Westchester, too, has seen a ripple effect as Silicon Beach employees have for all of the usual reasons found them-selves sifting through outward-radiating concentric rings—including Mar Vista, with its own pockets of tech—for affordable housing. In Los Angeles as a whole, that may be a relative term, but it is all the more so where the cyberpeople cluster. Three-bedroom homes built as modest middle-class domains in the 1950s now fetch a million dollars or more in Westchester, which happens to sit, along with the campus of Loyola Marymount, on the highlands above Playa Vista (and next to the LAX flight path, though it’s become less noisy as jets have been modernized). Venice has already witnessed the kind of changes that the bedroom communities down Lincoln Boulevard are experiencing. But that’s about the only similarity between the neighborhoods; Venice isn’t quite like any other place, is it? 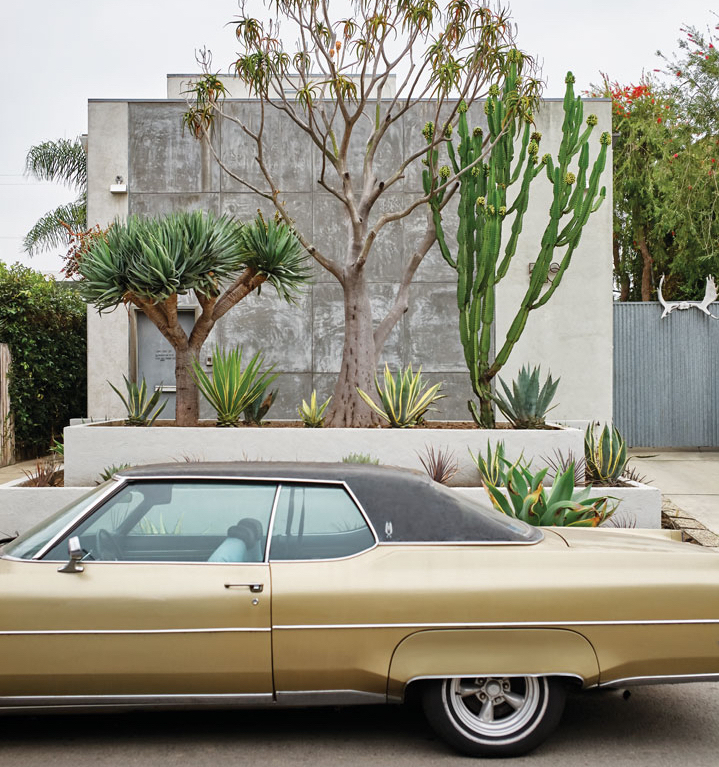 Over the past half century, the canal-laced district has gone, as five-decade resident and current Venice Neighborhood Council president Ira Koslow puts it, from beatniks to Hells Angels to hippies, with sidetracks for surfers, skateboarders, sculptors, and the Shoreline Crips. My wife and I moved here in 1998, when L.A.’s tech sector was still gestating, and we’ve seen our house leap in value as Abbot Kinney has become what GQ called (I’ll wincingly cite) the coolest block in America. As the McMansions have sprouted, residents have transitioned from scurrying fearfully through Ghost Town to clawing for a rez at Gjelina. But the homeless population has burgeoned alongside the pyramiding wealth, creating a jarring disparity. Offenses ranging from public defecation and mugging to stabbing and murder have afflicted the area as the prodevelopment forces—championed by the nascent Business Improvement District—face off with the local loyal opposition who argue that gentrification will speed a loss of diversity, freedom, and funk at street level in the beach city. I stopped into a local coffee shop, Menotti’s, full of rough-hewn wood furnishings and patrons beavering away on laptops as A Tribe Called Quest boomed forth. There a seriously untanned gent in the short sleeves and nerd glasses of a star coder greeted a couple of Asian men in designer grays: “How was the flight?” On the heels of the question, we all took a step back as a barefoot, red-faced man whose forehead was festooned with abrasions, his ragged clothes flecked with sand, staggered up the sidewalk. He was growling loudly and paused at the open door to give all within a monumentally lost and angry look. After a long moment he staggered on, weaving past the flower-strewn array of candles serving as a memorial at the spot where a young pregnant woman had been fatally stabbed in November.